Week 2 of my new Saturday blog linky. If your child has recently said something memorable, shocking, clever or great, make a note of it, blog it, and then simply hook up to link up. He wanted my full undivided attention and I did INDEED get told off royally when I tried to steal a glance whilst peeling. My bossy boy! That same day, whilst we were round the shops he was hanging out of one of those street furniture lottery signs that was out of a shop. He was spinning it round and round and 2 boys who had been told NOT to do that were staring at him... For the benefit of their Mum and Granny so that they could see I was dealing with it, I said "Aaron stop it, you are acting like a hooligan!" I am not a hooli-gate! All 3 of us adults laughed our heads off and went on to have a great chat. 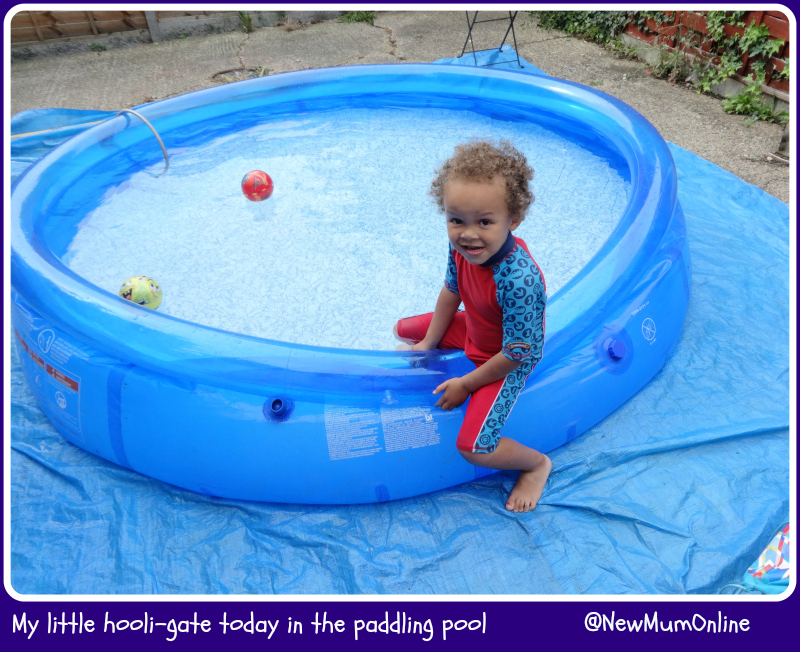 He has actually said lots of quotable things today but we were outside by the paddling pool all day, and I didn't dare get my phone out to type any of them up as I did not want it getting wet. Anyway I hope some of you are going to join in this week. Feel free to grab the blog hop code for the bottom of your post. Ha ha I get told off if I look at the laptop or phone whilst also doing something for Harry! What a hooligate! He is hi lair ious! I love the silly things kids say!